We live in an electronic world. Electronic sounds and electronic music have long permeated our sonic landscape. What began as the otherworldly sounds of the film score for the 1956 film Forbidden Planet and the rarefied, new timbres of Stockhausen’s Kontakte a few years later, is now a common soundscape in technology, media and an array of musical genres and subgenres. More people than ever before can produce and listen to electronic music, from isolated experimenters, classical and jazz musicians, to rock musicians, sound recordists and the newer generations of electronic musicians making hip-hop, house, techno and ambient music. Increasingly we are listening to electronic sounds, finding new meanings in them, experimenting with them and rehearing them as listeners and makers. 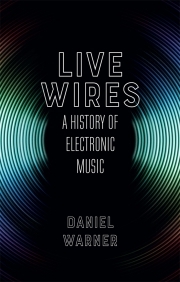 Live Wires explores how the five key electronic technologies – the tape recorder, circuit, computer, microphone and turntable – revolutionized musical thought. 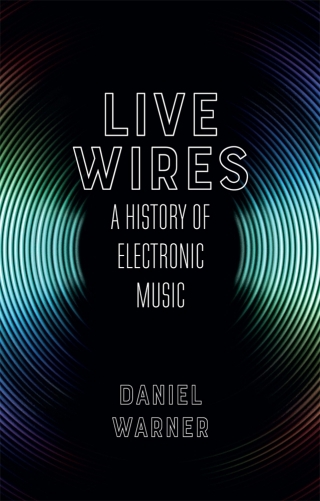 Featuring the work of major figures from Schaeffer, Varèse, Xenakis, Babbitt and Oliveros to Eno, Keith Emerson, Grandmaster Flash, Juan Atkins and Holly Herndon, Live Wires presents many of the powerful musical ideas that are being recycled, rethought and remixed by some of the most electrifying composers and musicians today. Daniel Warner is Professor of Music at Hampshire College, Massachusetts. He is a composer and electronic artist whose sound and installation work has been presented at festivals around the world, and is co-author of the seminal Audio Culture: Readings in Modern Music (2004).